We offer a comprehensive range of eyecare including full eye examinations. We allow 45 minutes for these so we can ensure all the appropriate tests are done. We have 3 fully equipped testing rooms and a qualified dispenser to provide advice on lens and frame options, adjustments and fittings. We also have a digital retinal camera so we can photograph the back of your eye if necessary as well as an automated visual fields screener. Our latest acquisition is an OCT machine which can scan all 10 layers of a retina or the nerve fibres of the optic nerve. This is used in glaucoma management and for retinal conditions like ARM and Macula holes. We also have a corneal topographer to analyse accurately the shape of the front of the eye- essentially for our new ortho-k fitting service. We have an onsite lab with the latest in edging technology and online ordering and can offer a 1 hour service for reglazes as well as a full repairs facility. We offer drivers screening, contact lens fitting and checks, laser surgery assessments and glaucoma checks. There is a government subsidy available for children under 16 if the family has a community services card or the child has a high health user card which totals $287.50 per annum. You just need to bring in your card and we can help with the paperwork. At the other end of the scale, if you have a super gold card you can get a discount off the cost of your new frames. We have options to suit all budgets, package deals using quality frames, and designer eyewear. We have a large contact lens base and can access the subsidy available for some wearers with certain eye conditions such as keratoconus. A fully comprehensive eye exam will be performed taking up to 45mins. During this time we will check your vision and prescription, check how well your eyes work together and fully check the health of your eyes including checking for glaucoma, cataracts and other health conditions. We have a range of testing equipment including a retinal camera, visual fields analyser, and a topographer to check the shape of the eyes. Occasionally we may need to schedule an extra appointment if further testing is required. We will discuss the range of lens options available and help you select frames that you love. Unlike many places we are happy for you to reuse your frames if they are still suitable. It may not always be possible though if they are very old or there is a big change in your prescription requirements. Children’s eyes are still developing and even though they may see clearly there can still be problems with the ways the eyes work together which can make learning to read harder and more tiring. Symptoms can include – holding reading material closer than normal, shutting one eye while reading, rubbing eyes, losing place while reading or re reading lines, tilt or turning their head performing below their potential. If the eye tests shows your child is having difficulty with eye movements, focusing and tracking. We have a proven program of exercises to help with these areas. We have an onsite lab and full repair service available for all of our patients. Our technician can provide a 1 hr turnaround to reglaze your existing frame. We can provide a same day service for new glasses (conditions apply). Our technician is a master at straightening, tightening and repairing if necessary. Orthokeratology is a non- surgical, non invasive and reversible process which reshapes (flattens) the cornea used rigid gas permeable contact lenses. We offer ORTHO-K for myopic (short sighted) individuals with low degrees of astigmatism. It works by flattening the cornea reducing the focusing power of the eye. The lenses are worn overnight. After the contact lenses are removed in the morning the cornea retains it flattened shape for all or part of the remainder of the day. A lens must be worn up to every night to maintain the flattening or the eye will revert back to its normal shape. At Eyes on Broadway we are certified examiners for the Police force (level 1), CAA, CASA, as well as ACC. In our modern, safety conscious world a good pair of safety glasses is essential for all sorts of occupation and tasks. But what if you wear glasses? Fitover safety glasses may not sit right or feel comfortable. We have a great range of safety frames that can be made for all types of prescriptions that will meet the NZ safety standard (AS/NZS1337.6) and be certified. We are part of a nationwide group providing prescription safety eyewear to industry at very competitive prices. We also stock Progear safety glasses. These are slightly different to the full certified safety glasses and are good for sports like squash, biking etc. We are now a contracted provider to Mid Central Health to perform the Diabetic Screening, to ensure the health of their eyes and replaces the photo screening that the hospital previously performed. Your GP should arrange referral to your preferred optometrist at the appropriate time. Check with them when you are due. We have available comfortable swimming goggles with changeable prescription lenses. These are in stock for myopic (short sighted) people and can be fitted even if your eyes are different. Options for specially made are available as well. Dive mask also available. Don’t let your need for glasses stop you from swimming! Dr Reece Hall is a visiting Ophthalmologist from Bowen Eye Clinic in Wellington providing eye specialist appointments at Eyes on Broadway every second Thursday. His special areas of expertise are Laser Eye Surgery, Cataract Surgery (available at Crest Hospital) and Corneal Transplant Surgery. Call Now 04 464 0003. 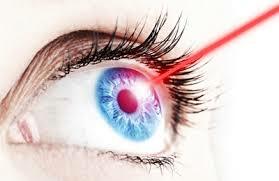 Other Laser surgery Providers include Eye Institute, Remuera, Auckland & Auckland Eye, Remuera, Auckland. Contact us for more details or to book an appointment. At Eyes on Broadway we offer an extensive range of contact lenses including dailies, monthlies, overnight wear, ortho-k lenses and a complete fitting service for keratoconus, high prescriptions and corneal grafts. Meet the Team and How We Got Started.